Hi Everyone, I am back from Miami. What a fun trip it was! I am still unpacking, returning e-mails and getting organized from the trip and in the meantime here are some photos. I had twelve fabulous students in my two day workshop. 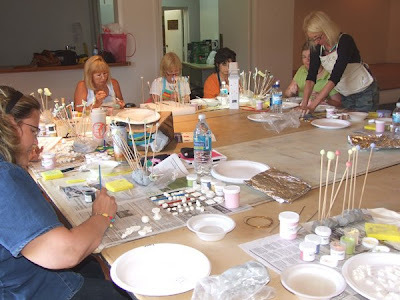 The first day we were making ceramic beads. 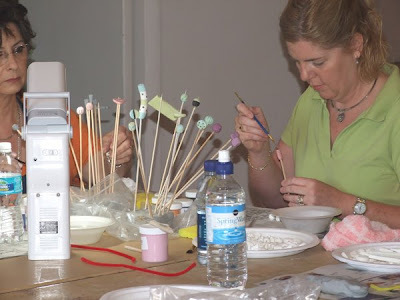 Day two of the workshop was painting and glazing. 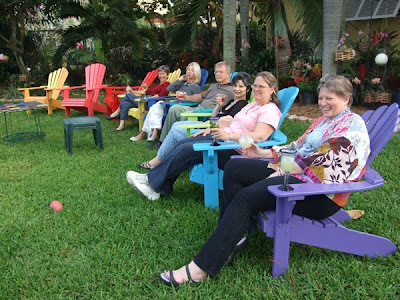 The last picture is of the great party that my friend Lynn hosted at her house. Doesn't that look like fun? It was. 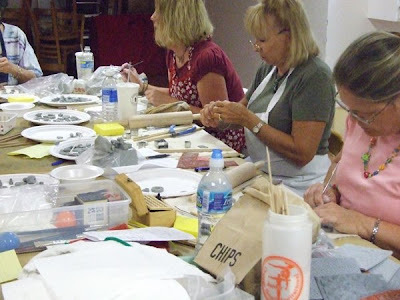 I just want to thank everyone at JAG, the Jewelry Arts Guild of Southern Florida for hosting me and my workshop. The beads that all the students made are being fired this week. 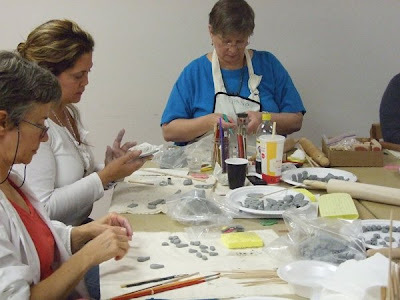 As soon as the kilns cool down, I will be sure to post the pictures. I think there are going to be some great beads.